Do I need Physical Therapy for my Auto or Work Injury? 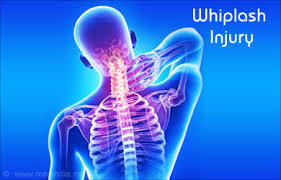 The most common injury from an auto accident (over 1,000,000 cases per year) is “whiplash” injury. Since there is no visible injury and the initial pain is not severe, people do not often seek professional help. This is a big mistake. Initial medical treatment for the typical auto injury usually consists of painkillers and a neck brace. This approach does little to repair the underlying injury. Physical therapy is the primary method for repair and strengthening of damaged tissue and for avoiding excessive scar growth. Regardless of the severity of the injury, you will benefit from a physical therapy program. If pain or dysfunction remains, advanced physical therapy can help. Most connective tissue injuries are quite slow to heal. There is no question that physical therapy is beneficial in helping you return to full function.Failure to receive proper treatment after an auto injury could result in long-term health issues. In a study of 100 people who were rear-ended, 14% of people still had significant pain after 8 years. In addition to neck and back pain, you may experience headaches, dizziness, numbness, vision problems, and difficulty concentrating. You also have a much higher risk of degenerative disc disease later in life. That is why it is important to seek medical attention promptly and be compliant with your treatment. Nationwide, an estimated 1/3 of people who suffer whiplash injuries continue to have symptoms even three years after their accidents. Common complaints include neck pain, shoulder symptoms, headaches, problems with vision, dizziness, difficulty reading, and problems with concentration. Why does our nation have such a problem treating these injuries? It may be because we, as a nation, focus on the muscles and joints when rehabilitating whiplash, even though more than muscles and joints are damaged by this injury. Whiplash often damages the neurological systems that control balance and how your eyes move (the oculomotor and vestibular systems). Research shows that people who do not recover quickly from whiplash often have damage to these systems. For muscles, joints, and neurology, results of whiplash rehabilitation are best when the rehabilitation starts within a week or two of the injury, but even patients who have suffered with symptoms for a long time can make good progress with our more thorough rehabilitation techniques. The rehabilitation approach that we take for whiplash injuries includes hands-on therapy, strengthening, stretching, therapeutic equipment, and more. Just as with auto injuries, work injuries can also be very debilitating. That is why helping individuals with work injuries is one of our specialties. Why Physical Therapy for Work Injury Treatment? People who have been injured on the job have a unique set of circumstances. They need to overcome injury and return to normal work and home life as soon and as safely as possible; often the well-being of the patient’s family depends on that. At Emery Physical Therapy we understand what is involved and we will be your coach in your successful return to work. Your physical therapist will develop, with your input, a treatment plan that is custom designed for your condition and circumstances. Goals are set up; you and your physical therapist work together to accomplish these goals. Often our physical therapists will include specific exercises and training similar to activities you perform at your job so you will be better prepared for a safe return to work. If necessary we will work with your Doctor and employer to make sure our combined goals are met and you can return to work as soon, and as safely as, possible. Sometimes injured workers need to do a bit more to establish good healing; sometimes injured workers need to do less to establish good healing. At Emery Physical Therapy we are expertly trained to devise a specific plan for a specific worker with a specific problem. Our success is measured by your safe and timely return to work and home life. If you’re experiencing pain from an auto or work injury, please use the button on this page to schedule an appointment with Emery Physical Therapy.